Leading up to the 50th celebration this August, we will be featuring various alumni and professors of the Cortona alumni family. This week we would like to introduce you to alumnus and former professor, Gyun Hur! Accolades: Most recently, I completed Pratt Fine Arts Residency, BRICworkspace, and Danspace Project Platform Writer-in-Residency in New York. I am the recipient of The Hudgens Prize, Artadia Award, and Joan Mitchell Foundation Scholarship. My work has been featured in Art In America, Art Paper, Sculpture, Art Asia Pacific, Public Art Magazine Korea, Hong Kong Economic Journal, Huffington Post, Brooklyn Street Art, Atlanta Journal-Constitution, Pelican Bomb, Jezebel, The Atlantan and more. 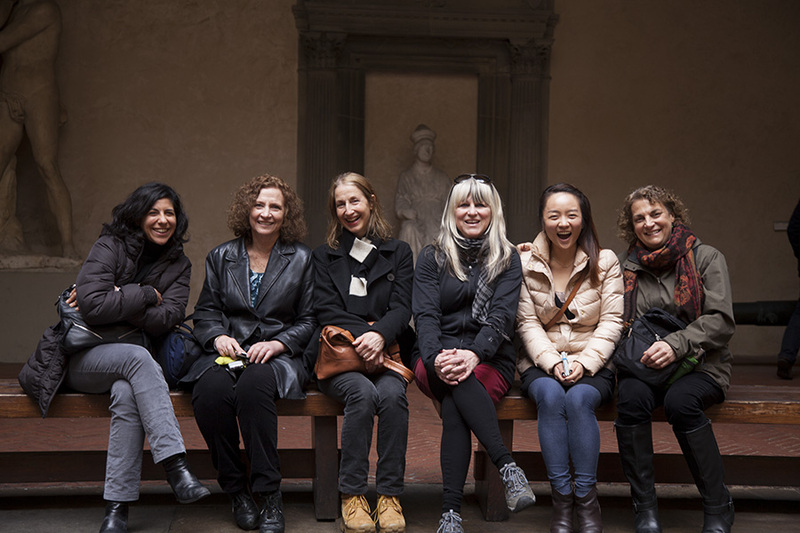 I was surrounded by inspiring women faculty during my semester in Fall 2013 when I returned to Cortona as a faculty. Soon after my time of teaching in Cortona Spring 2013 session, I participated in Vermont Studio Center and Artadia Summer residencies. Then, I spent four years of teaching full time at SCAD-Hong Kong. During that time, I got to travel and exhibit extensively in Asia Pacific region which changed me in irreversible ways. It has been 1.5 years since I moved back to the United States, and I am now settled in Brooklyn, NY. I always knew that I wanted to pursue a profession of artist and teacher. During my years as an art student, I had a series of inspiring teachers, artists, and mentors who deeply influenced the ways I could imagine a life I could live. I took conventional steps of getting my BFA and MFA in the fine arts and committed my post-art school years applying and seeking for opportunities to teach and make art through residencies, fellowships, and universities. It has taken me to the cities of my dreams and generated life-long relationships. There are so many memories from my time in Cortona. I spent a lot of time walking and hiking during my time as a student. One of the most precious times was when I went to the painting studio on Sundays when no one's around, opening the studio windows, watering my flower plants, and spending some time making work. When I went back to Cortona as a faculty in Spring 2013, I was surrounded by a group of women professors who took me under their wings. Through field trip bus rides, meals, and walks, I got to have beautiful conversations with these women educators, artists, and thinkers. I grew tremendously as a person during that time. How did studying in Cortona influence how you live or work today? Living and studying in Cortona for one semester as a student had a significant impact on my view of the world. Suddenly, I was living in the midst of Western art history and the images from the library books were front of my eyes. 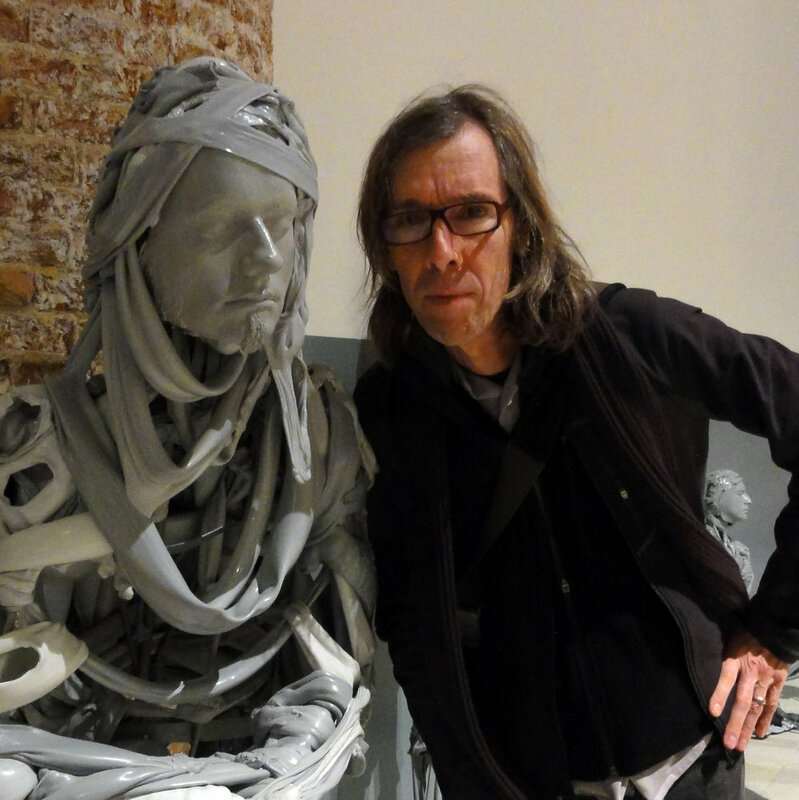 I could take a train up to Venice to see the Venice Biennale over the weekend and fly over to Berlin after the program. For someone who grew up as an immigrant daughter in the American South, this time of learning and living abroad made the world I did not know that existed accessible and personal. Since then, I never stopped traveling and taking risks. I am a current artist-in-residence with The New York Art Residency and Studios (NARS) Foundations in Brooklyn, NY. I have an upcoming group exhibition with Bronx Museum in 2020. Thank you so much for sharing, Gyun ! We loved learning more about you and sharing your journey and work with the C.I.A.O. family. If you’d like to follow along with Gyun and her art, you can find her on Instagram @gyunhurstudio. Leading up to the 50th celebration this August, we will be featuring various alumni and professors of the Cortona alumni family. This week we would like to introduce you to alumnus (and now professor) Kelly Schmidt! University/Major/degree: Columbia College Chicago; MFA in Interdisciplinary Book and Paper Arts. Hartford Art School; BFA in Printmaking. Student or Professor? : Previous student, Current professor! Semester in Cortona: Student during Fall 2010, Professor during Fall 2018. Course(s) taken/taught in Cortona: Taken as a student- etching and paper/book arts. Taught as faculty- etching and drawing. Favorite flavor of gelato: Pistachio! Accolades: I've taught many classes and workshops with artists ranging in age from kindergarteners to octogenarians. My work has been shown across the US as well as in Italy and Egypt. Recently, I've had the pleasure of juyring a couple shows in Florida. Since my time in Cortona as a student, a lot has happened! But, currently, since returning to the States just a week ago after the Fall 2018 semester, I'm re-adjusting to American food and cuddling my two cats! I've always known I wanted to teach art. I fell in love with printmaking while at Hartford Art School, and then became obsessed with hand papermaking after learning the process while studying in Cortona. I went on to get my MFA in papermaking because of that one incredible, life changing class. (Thanks, JoAnne Paschall!) I've taught classes in many disciplines of printmaking, papermaking, drawing, and two-dimensional design. Oh, man. What isn't a favorite memory? I still keep in touch with my roommates, their friendship is invaluable. We went on so many mini-excusions together to the hot springs and seeing the olive oil extrusion process. One day, I stayed in Cortona to work in the studio.. when I came back to our room, Izzy had won a 15lb prosciutto at a fair and was proudly displaying it on my bed. I think she walked on her hands across a piazza to win that thing! First, taking that papermaking class with JoAnne completely changed my life. It helped me decide to go to grad school, and narrow down my search to only include programs that focused on papermaking and printmaking. My work went from being strictly two-dimensional etchings to much more sculptural, interdisciplinary, and larger scale. Second, I knew I had to return to Cortona to teach. I wanted to pass along my incredible experience to other young artists, and be able to share the magic of Cortona with more new life-long friends. I feel so lucky to have these opportunities! Artistically, I've been working a lot with surface texture. I've also been thinking a lot about line- my work is usually very organic, but I've been lusting after architecture lately. Personally, I got engaged in Cortona this [past] October! We are so excited, and can't wait to visit again soon! Thank you so much for sharing, Kelly (and congratulations on your engagement!) We loved learning more about you and sharing your journey and work with the C.I.A.O. family. Leading up to the 50th celebration next August, we will be featuring various alumni and professors of the Cortona alumni family. 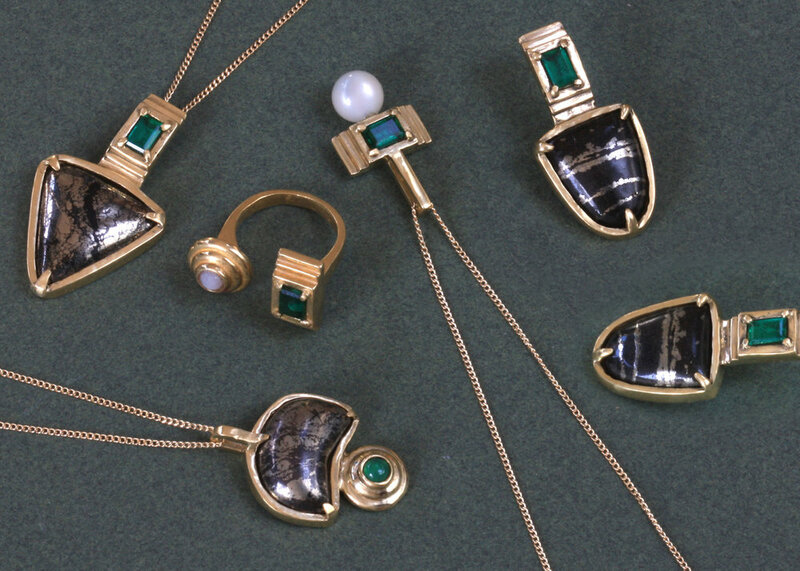 This week we would like to introduce you to jewelry designer Kristin Miller! I worked as a graphic designer specializing in packaging for several years after graduating and eventually transitioned to jewelry design. I may have also helped organize a music festival that got rained out (?). In between there's been lots of travel and the renovation and subsequent flipping of several houses. A jewelry fabrication elective at UGA actually got me hooked on the art form. I love graphic design, and it's been immensely helpful in building my business, but after school I definitely missed the studio environment. I love creating a physical product and wasn't crazy about the office surroundings I found myself in, which ultimately led me to go out on my own with jewelry. There are so very many, so I'll have to fudge and list two. The first was when a big group of us made a spontaneous day trip to a tiny island in celebration of our friend's birthday. We had to take a bus, train and boat, and once we got there everything was closed. Somehow we stumbled upon a restaurant owner who spoke virtually no English, but opened up his backyard to us and proceeded to serve a feast, bringing us platter after platter of delicious food. The scene was idyllic – overlooking the water, the light turning golden, orange flowers blooming everywhere. We ended the day by all jumping off a pier together. The whole thing was a magical, unplanned moment. The second memory would be Italy winning the World Cup while we were there. Enough said. Well, it quite literally influenced the way I live, considering that I met my now-husband there (he was actually the birthday boy in the story above). I currently produce my pieces primarily in bronze, but I'm working on some new methods that will allow me to use gold without exorbitant prices. Leading up to the 50th celebration next August, we will be featuring various alumni and professors of the Cortona alumni family. This week we would like to introduce you to Cheri Leavy! My publishing career started when I joined my husband Vance Leavy’s family business, Brunswick News Publishing where I managed their island office and served as Editor of Coastal Illustrated for five years. Vance and I created Bulldawg Illustrated in 2002, a glossy magazine celebrating Georgia football and the fanfare surrounding it. With a passion for not only sharing the lifestyle of Georgia Bulldog fans, but also, the stories and talents of those who make Athens and the University such a special place, this is a labor of love! Serving on the University of Georgia Alumni Association board has only helped me find and tell the stories better. Spending so much time in Athens, Vance and I developed another publication called Guide2Athens ten years ago. The pocket-sized square book and social media channels capture the people and businesses that make America’s best college town so culturally rich. I founded The Southern Coterie with friend and business partner, Whitney Long, to provide a resource for the entrepreneurial south. 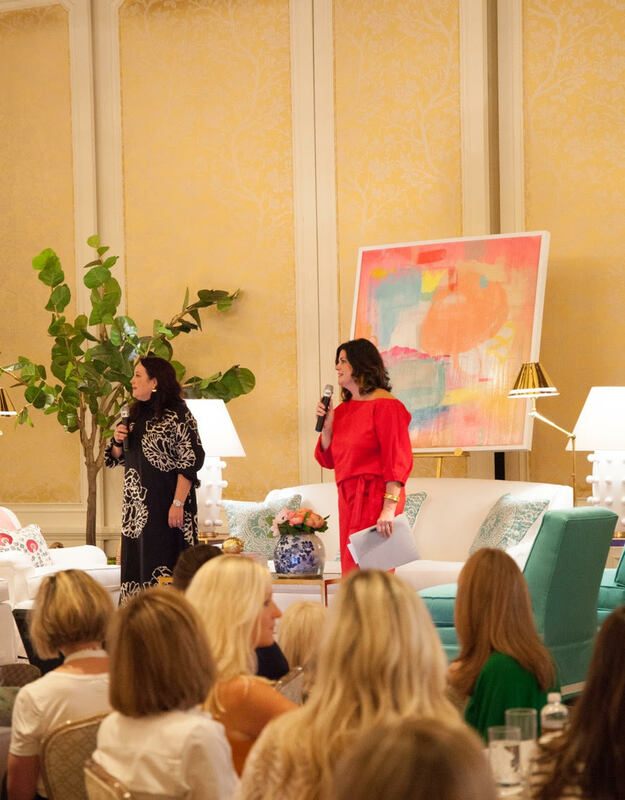 The Southern C was designed to offer a community of passionate business owners, makers and doers the opportunity to connect, collaborate and create both online and in person through our annual Summit events that we started in 2013. I loved taking photos of everything: locals, architecture (even door hardware), churches, vegetable stands in the open air market and expansive countryside views. To bring back memories, we had a case of wine including several beloved Brunello di Montalcinos from sommelier Marco Molesini shipped home. Although you can’t recreate the sunset view at Ristorante Tonino. I will never forget the feeling of pride to experience the positive impact on Cortona from UGA having a campus in town. There were Georgia Gs in shop windows and the Italians even know how to cheer like a Bulldog which means they bark woof woof woof! It instilled a lifelong love of travel and exploring other cultures in a deep and meaningful way. We search out locals and their favorite spots anywhere we go, always looking for that insider perspective. It is largely why we created guide2athens for visitors to our special town to see the best of it through our take. I would want my husband Vance there because we do everything together so I wouldn’t want him to miss out and I would invite our favorite author Ernest Hemingway and favorite musician Tom Petty. It was hard not to include Picasso with Hemingway. Can we do it at La Bucaccia in Cortona with at least one pasta dish with tartufo and big bold Super Tuscan? The guys can pick the rest. We just launched tickets for The Southern C Summit set for February 6-8. 2019 at Forbes Five Star resorts on Sea Island, Georgia. I am super excited about our workshops and sessions covering social media strategy, branding and marketing, PR, best practices for websites and newsletters, entrepreneurial advice/tips/motivation, partnerships and collaborations, among others. One of my favorites this time is Sean Low presenting on the Business of Being Creative. But it isn’t all work and no play! We have numerous social events to provide opportunities to connect, collaborate and create!